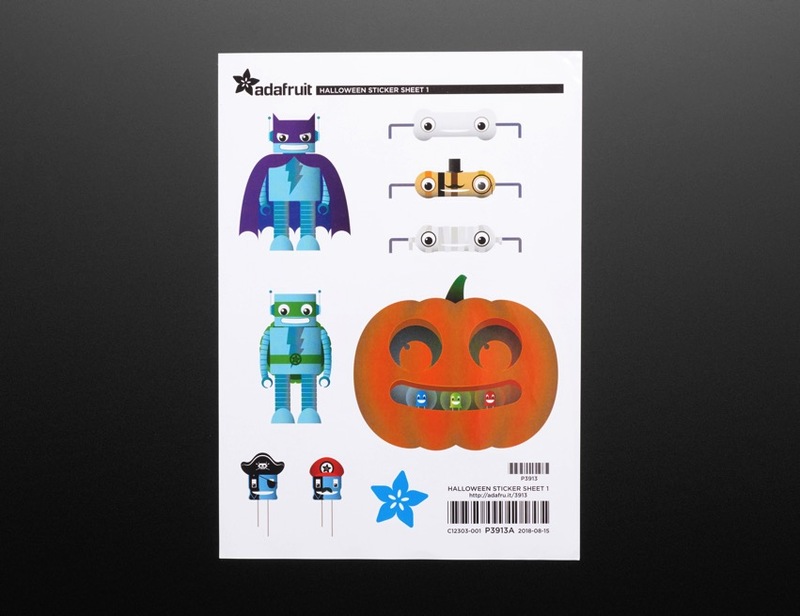 NEW PRODUCTS – Adafruit #ElectronicHalloween Cards + Sticker Sheets « Adafruit Industries – Makers, hackers, artists, designers and engineers! There’s something about a Halloween landscape that immediately takes us back to childhood trick-or-treating and homemade costumes. 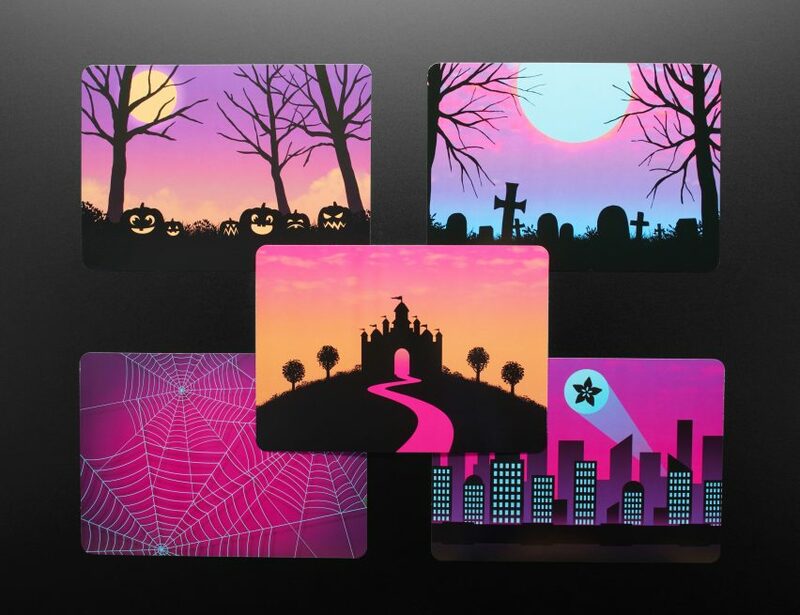 Here’s a special Adafruit set of five beautiful Halloween Cards that evoke the spirit of the season, from pumpkins to graveyards to a haunted castle. The cards are printed on high quality card stock and are a pleasure to behold. 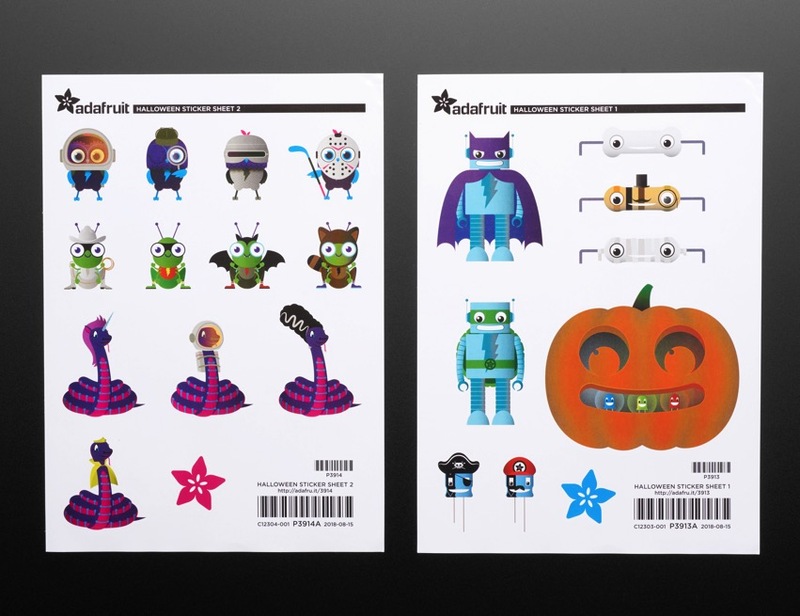 These are great for use with our Halloween sticker set 1 and set 2, they’re ‘satin’ coat so the vinyl stickers can be removed and re-used to make adorable scenes. Next up, the sticker sheets! Speaking of wearables… We couldn’t let us humans have all the fun! Even our Circuit Playground friends have costumes! Peep this Halloween Sticker Sheet featuring AdaBot, Cappy, Mho, Ruby, Gus, & Billie in various adorable Halloweenie getups. 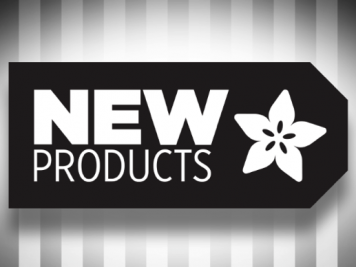 These gorgeous die-cut stickers are vinyl, glossy, and made to last a lifetime. Check out the other sticker set we have, maybe pick up both? 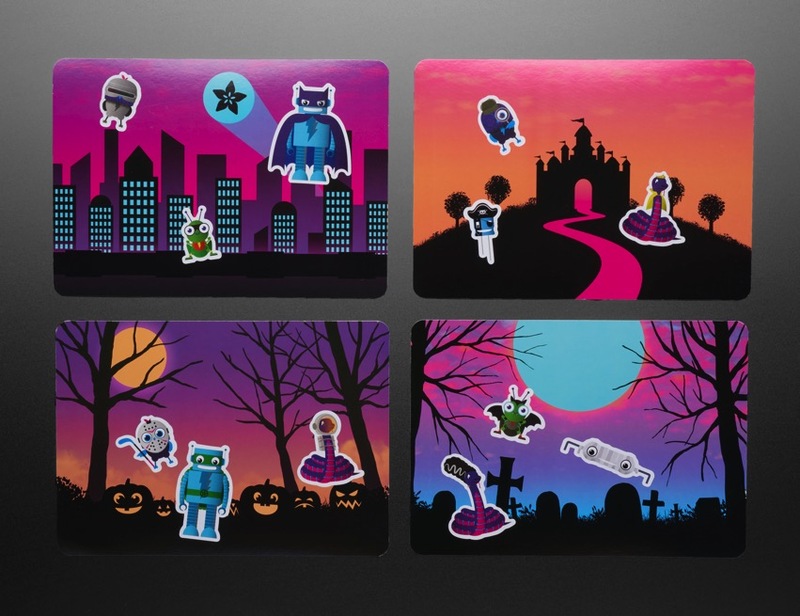 These can go nicely onto our halloween card set to make adorable scenarios, and because the stickers are vinyl you can remove and re-place them.